As President Donald Trump calls for an end to immigration to the U.S. based on extended family ties, the legal status of his mother and father-in-law faces new scrutiny as they move closer toward naturalization and U.S. citizenship. 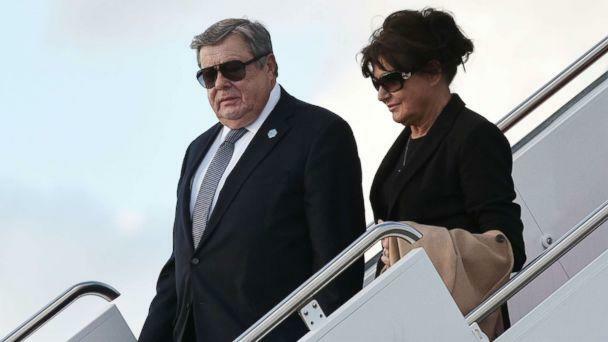 First Lady Melania Trump's parents Viktor and Amalija Knavs are permanent residents of the United States after emigrating from Slovenia, according to their lawyer Michael Wildes. Wildes would not say how the Knavses received green cards to live and work in the U.S.
Immigration experts say the most likely way the Knavses could have become permanent residents is through their daughter’s citizenship — a process the president has referred to as "chain migration". “The most obvious way that they would have become green card holders is by being the parents of a U.S. citizen – i.e. Melania Trump,” said Stephen Yale-Loehr, an immigration professor at Cornell Law School. The Knavses theoretically could have applied for green cards through the Diversity Immigrant Visa Program or through an employee sponsorship, but that is unlikely Yale-Loehr says, as they are retired and 65 percent of green cards are given out through various family programs. According to public records, Melania's sister Ines Knauss lives in New York City, but it's not clear whether she was sponsored by her sister and Wildes declined to comment on the matter. The likelihood that the Knavses received legal status based on their family ties cuts against President Trump's desire to end the practice in favor of immigration by merit and skill basis. “Restricting family migration in certain ways, including to prohibit parents of U.S. citizens from emigrating to the U.S. – if that had been law, Melania Trump’s parents would not be able to emigrate to the United States,” Yale Loehr said. Trump has long said one of the goals of the administration's proposed immigration reformplan is to "end chain migration," the term critics of the current system use to describe the process by which American citizens sponsor their relatives for immigration to the U.S.
"Under the current broken system, a single immigrant can bring in virtually unlimited number of distant relatives," Trump claimed during his State of the Union address last month. This claim isn't accurate, however. Citizens and green card holders can petition for certain immediate family members, but it's not feasible to admit an unlimited number of family members, according to an ABC News fact check of those comments. Wildes declined to comment further on the matter. 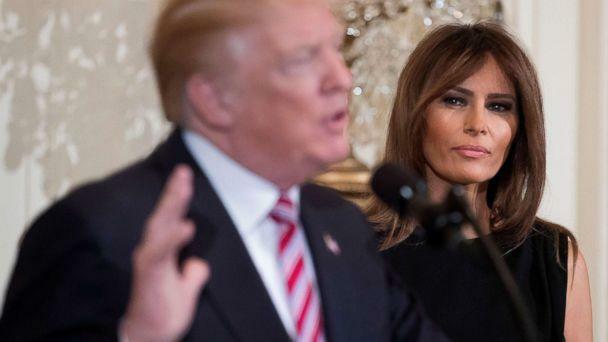 A spokesperson for the First Lady declined to comment to ABC News.